The Long List Of Health Apps Features Few Clear Winners : Shots - Health News Mobile health apps have gotten a lot of attention, but most are not being used, according to an industry analysis. The top-selling apps are diet and fitness trackers. Most apps don't let people enter their own data, and very few are actually designed to help people manage an illness. Here at Shots we get all kinds of pitches about the latest smartphone app that promises a profound improvement in our health. But truth be told, Candy Crush gets a lot more exercise than all those medical apps we've downloaded. And it turns out we're not alone. Most of the 16,257 legit health apps aren't used much, with half of all Android health apps downloaded fewer than 500 times, according to a report from the IMS Institute for Health Informatics. 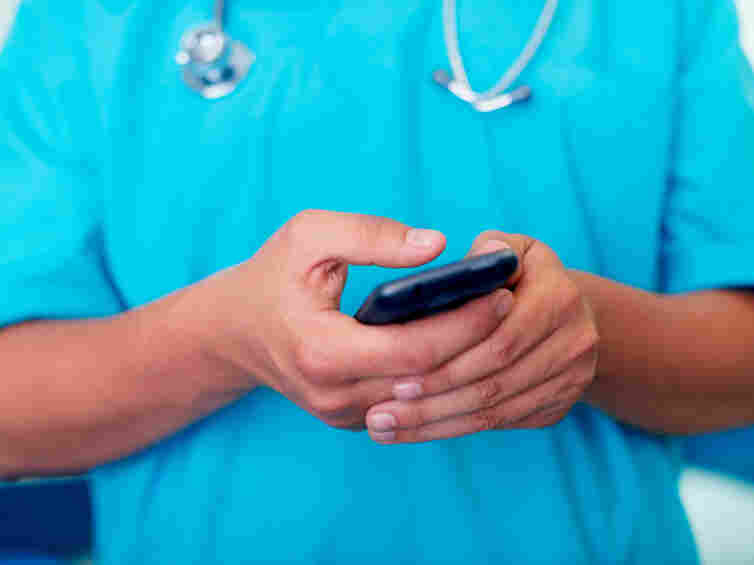 The analysis excluded apps aimed at physicians and other health care providers. The most popular apps are lifestyle apps — calorie counters and exercise trackers like MyFitnessPal. Just 159 of the apps use sensors to measure a person's health status, the report concludes. And most of those are exercise tools, like heart rate monitors. Another problem: Most health apps don't do much. They're little more than digital dictionaries. Only about 2,000 apps let users enter data to do things like track their health. And fewer than 2,000 apps dealt with specific a health issue like diabetes or anxiety. Mental health was the most popular topic, with 558 apps. There are opportunities aplenty for creating tools to help patients manage chronic diseases and other more sophisticated apps, the report says. But there are challenges, too. One of them is demographic. The biggest consumers of health care are over 65, and they're the least likely to have a smartphone. In September, the Food and Drug Administration issued guidance for medical app makers, which should make it easier to know which apps are medical devices that need FDA approval, and which are good to go without. "Physicians can see the potential benefits of mobile healthcare apps but remain wary of formally recommending apps to patients without evidence of their benefit," the report says. Privacy and data security is a looming issue, too. Until those issues are addressed, the report suggests, we'll be waiting for the Candy Crush of health apps.